I am not advertising for Brittany Ferries it is just the one I use from Poole as it is convenient for me, Portsmouth is another option. R621 with two machine gun ringstands. 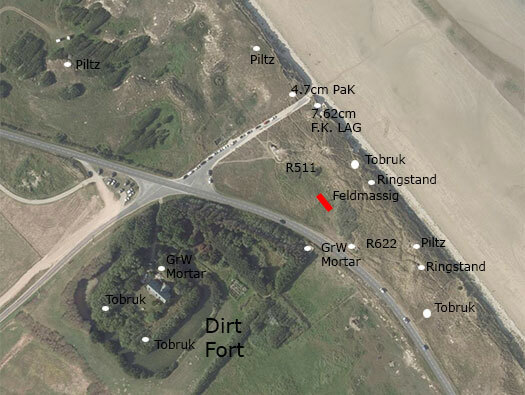 Red dots are a few of the Wn defences. 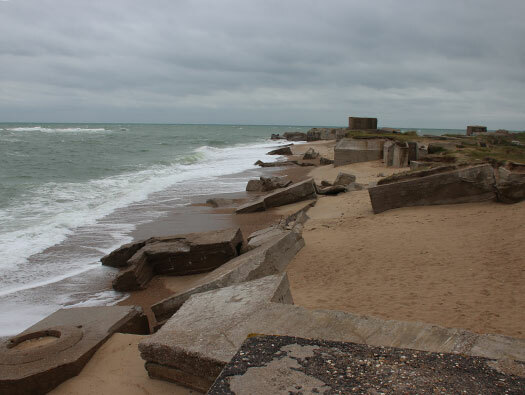 For as many defences of this area go to www.atlantikwall.co.uk - Menu - AOK7 Normandie - K.V.Gr K.V. 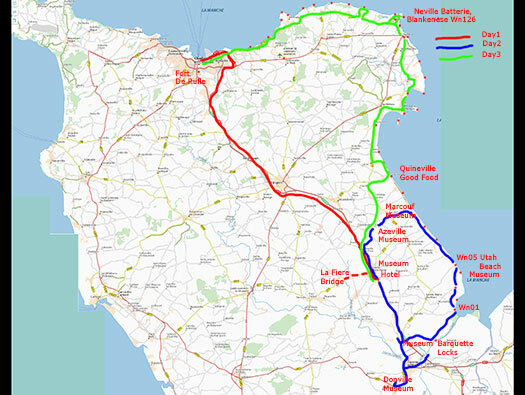 Gruppe Cotentin Ost and all the Wn's are listed from Wn01 onwards. 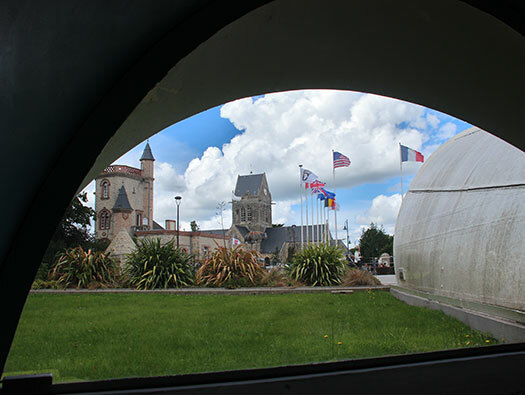 DAY 1 Arrive Cherbourg and drive directly to Ste-Mere-Eglise. Arrive at the Hotel early afternoon and we booked in. Leaving the car in their car park and take a short walk into town, down the roads the 82nd Airborne captured on the 6th June. 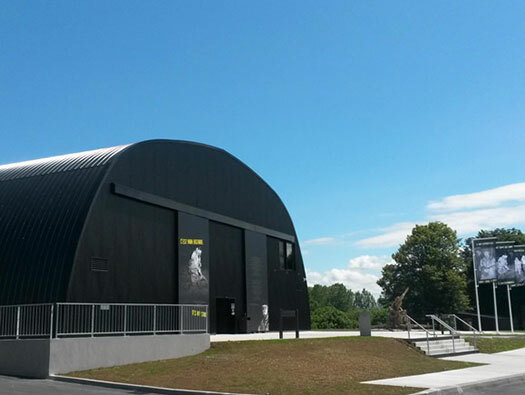 Visit the extensive Airborne Museum. Next a walk around town the Church and also the Hotel de Ville where you can go inside if open and see mementos and a large American flag, the first raised in Normandy I believe. If the doors are open, just walk in and up the stairs and the flag is on the wall. 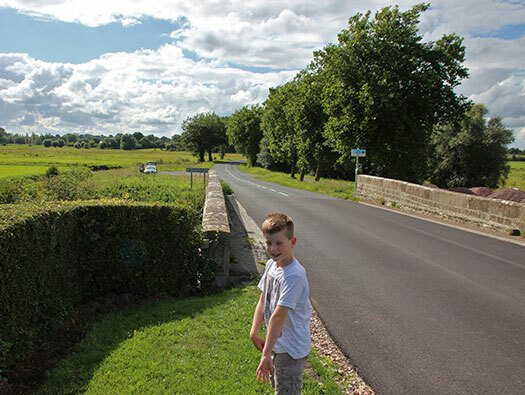 Next you can take a short drive to La Fiere Bridge. 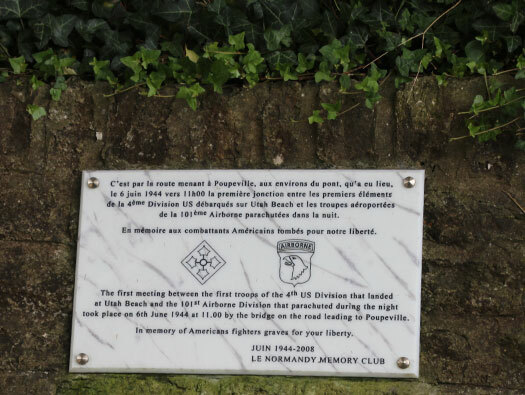 The bridge was taken on D-Day morning by the 82nd Airborne and the east bank held against many German attacks. 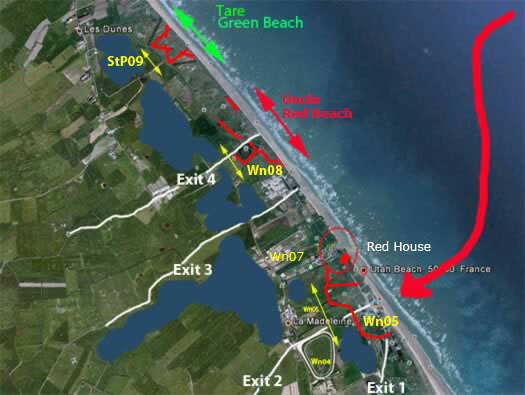 Later with the help of the newly arrived Glider Infantry the causeway was captured and then tanks from Utah Beach arrived and crossed over. There is a viewing platform and lots of info there. 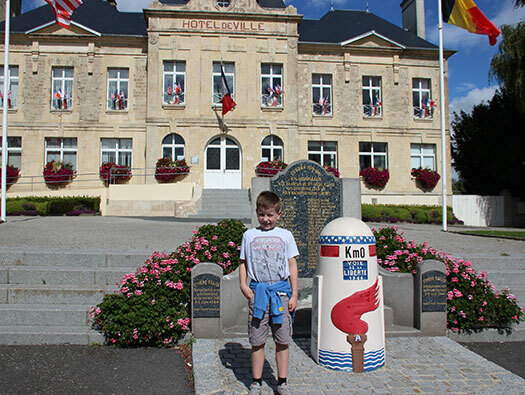 We used the Le Sainte Mere Hotel easy to use ***star and is just outside the town and a short walk. 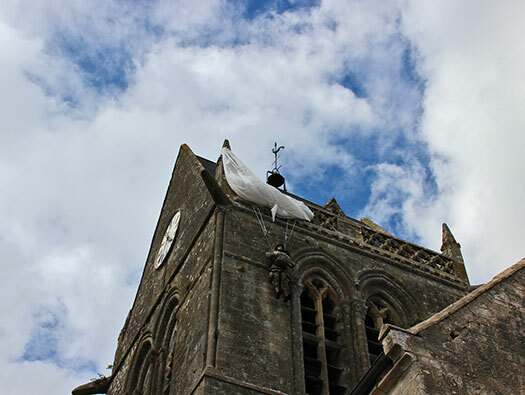 Fiere Bridge and across the meadow Cauquigny Church was also visited as its was held by airborne troops. Capturing the La Fiere Causeway Link. 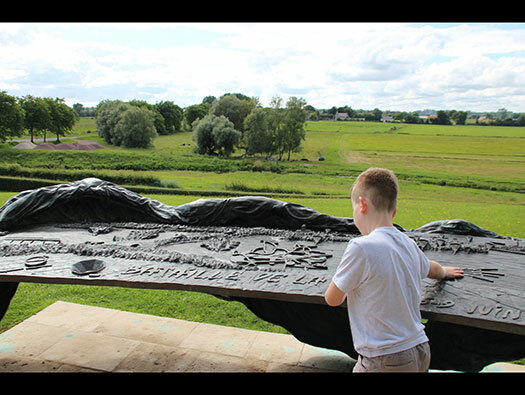 A large orientation table, a memorial of Iron Mike and where the Bazooka man shot one or more tanks. German tanks stopped on the causeway. 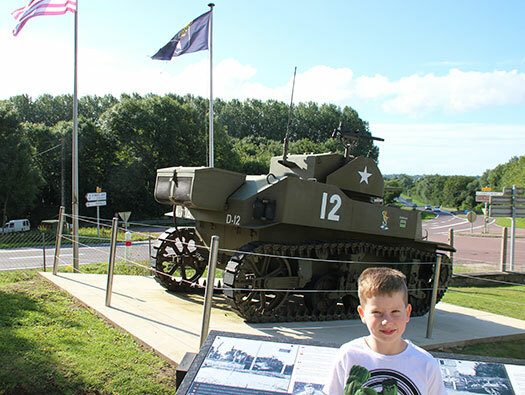 Day 2 Museums usually open about 10am ish so we drove to Carentan and the Bloody Gulch museum. It was closed at the time we got there but it gives a flavour of what the area was like for the Parachute Infantry companies that fought here. 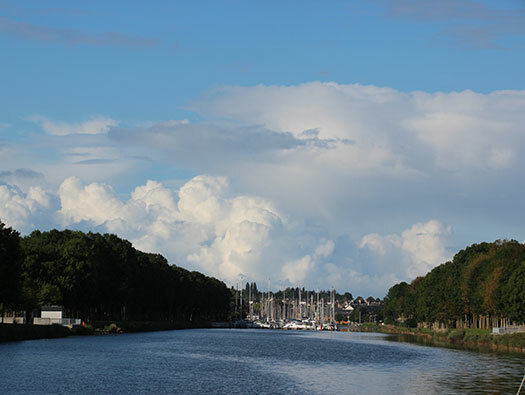 Then into Carentan and through the town and out to the Port. At the end of the Port we found an old Bailey Bridge still used. Bloody Gulch Museum and tour (closed when we arrived). 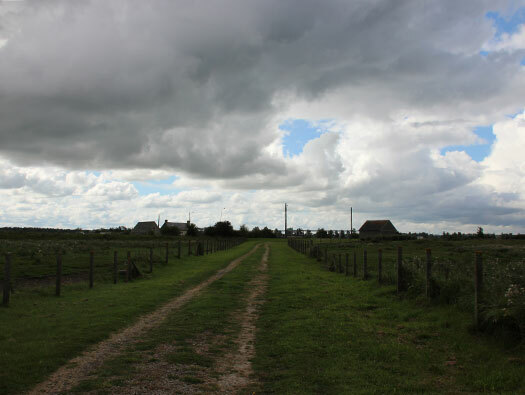 Bocage in the area the paratroops fought. 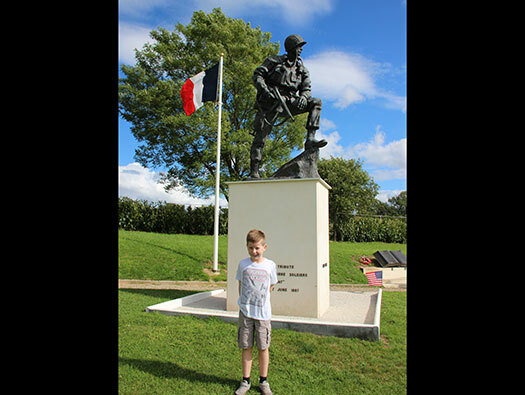 Carentan Port. 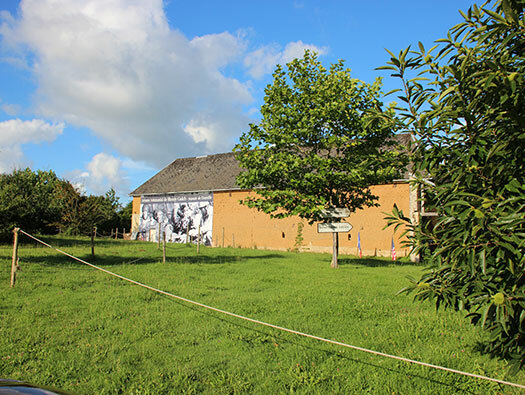 Bloody Gulch Museum, Doneville, Carentan. Day 2 Dead Man’s Corner museum and experience. In the house is a very good I believe free museum (we were not asked to pay) and shop. 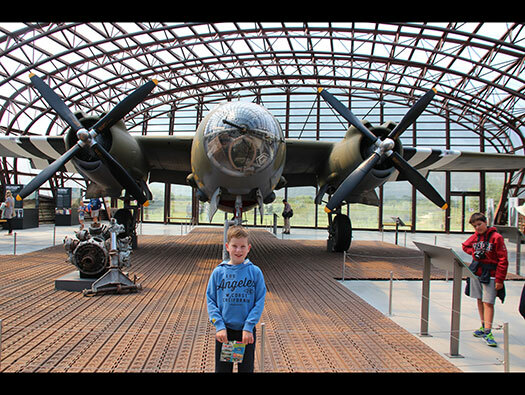 The D-Day Experience, museum and a ride in a C47. 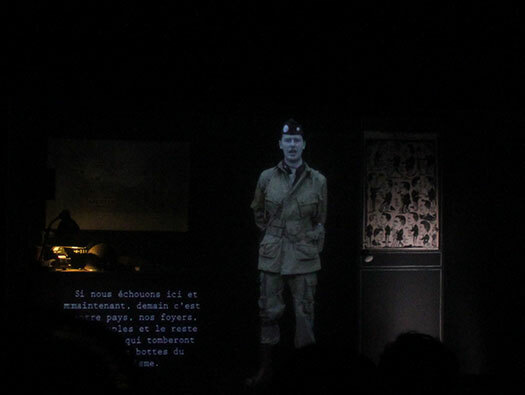 The briefing by a very clever 3D officer. The tank and Dead Man’s Corner. Dead Man’s Corner and Barquette locks.Museum. Day 2 Next Ecluse de la Barquette. 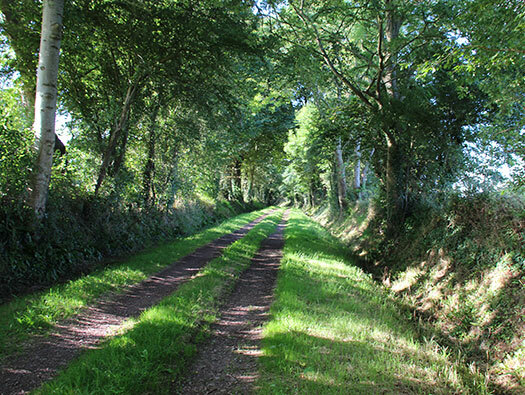 A short walk along this track. The track to the lock. The lock. 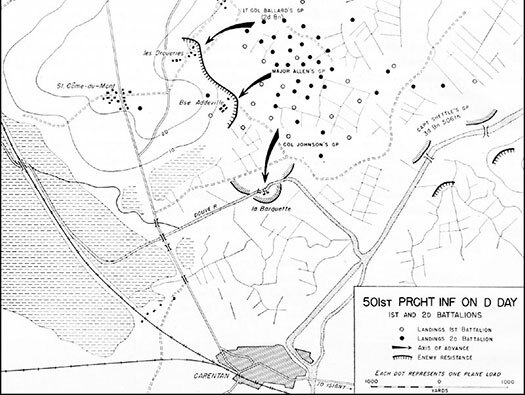 Plan of the battle to take and hold them where Col Johnson’s group fought. Gun emplacement at the lock not mentioned in anything I have read about the action. Day 2 Wn02 The junction where the G company 2nd. Btn. 8th Inf. met up with the 3rd Btn. 501st Parachute Infantry. The spot . Memorial on the wall. Day 2 continuing on to Wn01 and you have to look out. 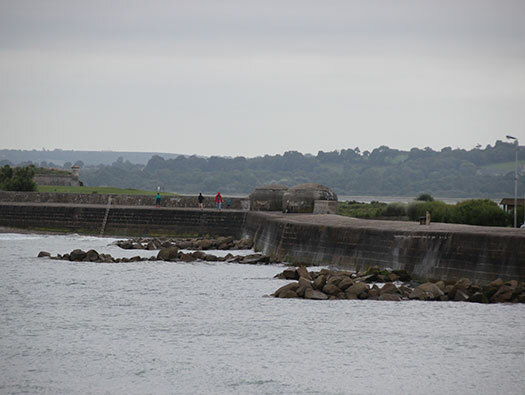 On the left a cable bunker that probably took the main Cherbourg to Paris telephone cable?? 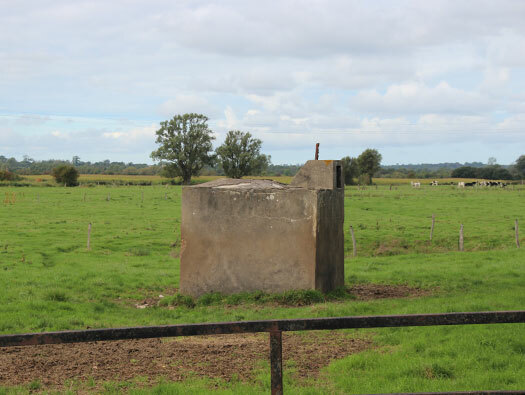 Then the start of Wn01 with an Anti-Tank wall. Along the top are the steel rods to hold barbed wire on the top. Continuing on to Grand Vey and the defended slipway. Cable bunker. Anti-tank Wall. Wno1. R35 turret being inspected by an American soldier. 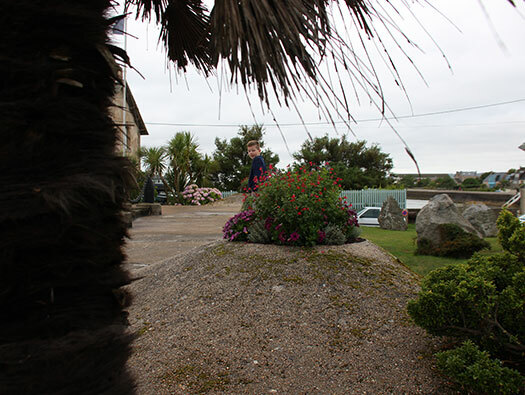 Day 2 Wn01 and all its defences, most can be found but some now are in gardens and inexplicable. My website Wn01 has most of them. 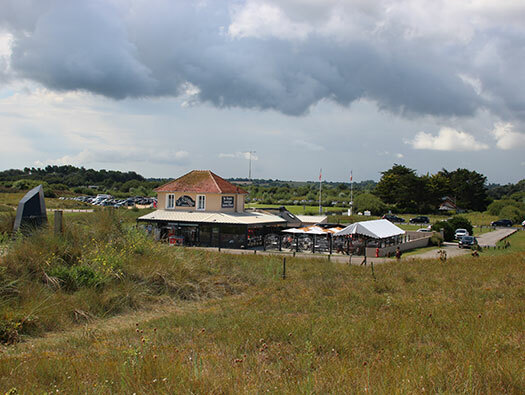 Day 2 we arrived at Utah Beach around 12.00 and went straight in had had lunch, it does get very busy and with children, better early than late. Checking the strength of the Coke. If you ask nicely they will let you see the attached bunker inside a Vf1a. Day 2 Wn05 la Madeleine plage where the landings started. 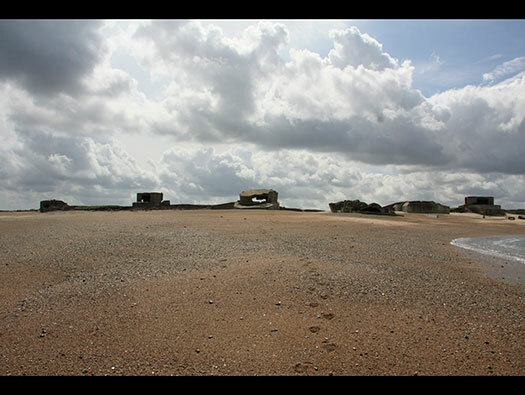 A walk to the beach with views north and east to Pointe du Hoc on a good day. Tide out and a good walk to the sea, tide in and a good play in the water. Plan of the area. Part of the Museum. 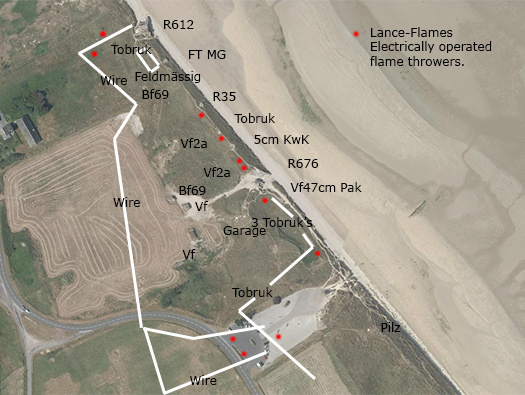 Utah Beach. B29’s on their run in. The actual bombing of Wn05 early on the sixth of June. 6.30AM and on time, they landed. Wn08 Redoute d'Audouville la Hubert, K.V.U.Gruppe Marcouf, K.V.Gruppe Cotentin Ost. StP09 St Martin de Varreville (Clos Duval), K.V.U.Gruppe Marcouf, K.V.Gruppe Cotentin Ost. 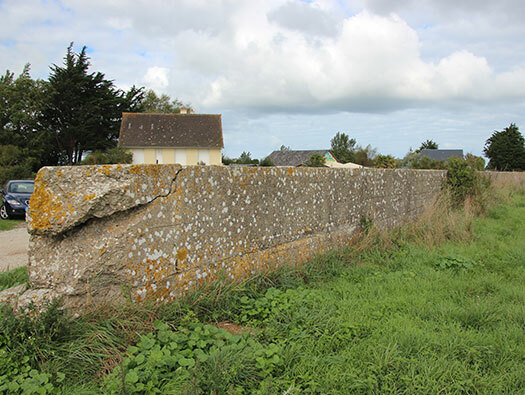 StP10 Hameau Mottet (les Temples), K.V.U.Gruppe Marcouf, K.V.Gruppe Cotentin Ost. All the way past to Wn11 Foucarville Mauger, StP12 Ravenoville St-Hubert Wn13 Grand Hameau des Dunes, Wn14 Le Fort Redout de Ravenoville Wn14a Hameau du Sud - Les Gougins, StP16 Hameau du Nord - Fort Pongubaud, Wn17 Hameau de Fontenay - La Bréche & K.V.U.Gr St Vaast, Wn18 Quineville le Bours Neuf le Havre. 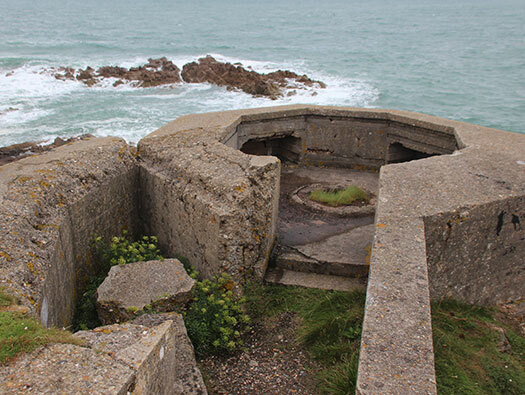 One more visit today was either Batterie de Crisbeq or Batterie d’Azeville. Both worth a visit. We did Azeville. So loads to see and you don't have to do all of them just the ones that you wish to. A good place for an evening meal is the Bar in Quineville, Hotel de la Plage. 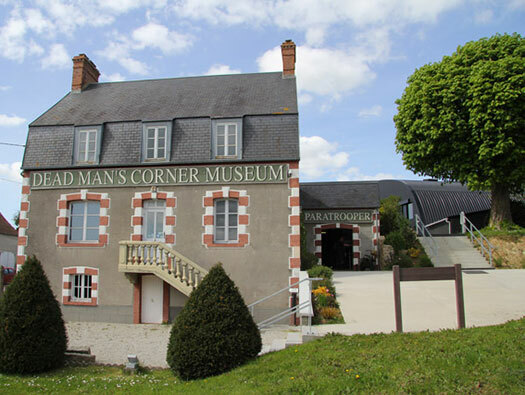 There is another Museum in Quineville if you wish to visit one more today. 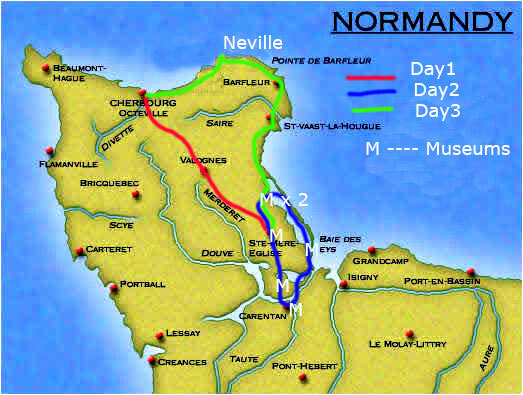 Day3 Leave hotel and head back to Quineville and follow the map north. You have to be back at Cherbourg by 4.30/5.00pm so make the most of it. 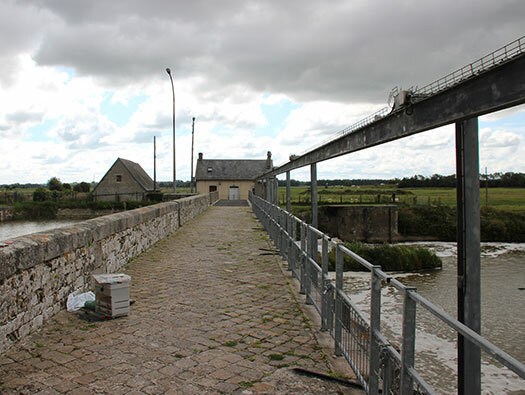 Quineville Harbour Wn19 Quineville fort Lestre Hameau Simon . La Maison Rouge. Wn140 Morsalines Le Hutrel. Wn19 40483 I.Z. possibly the unit that built it. 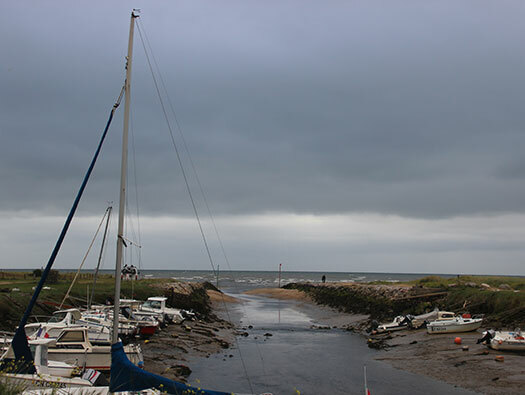 Day3 head up to St-Vaast-la-Houge and at the port keep right and arrive at a Chapel-le des Marins. 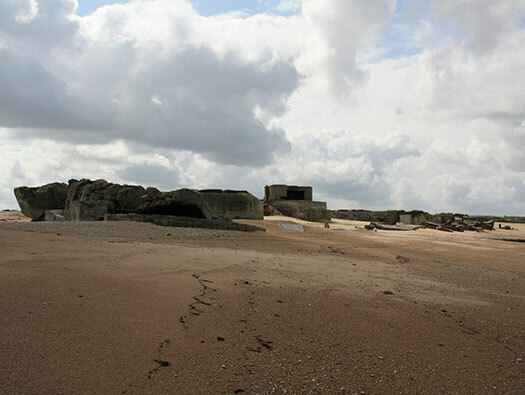 St-Vaast-la-Houge, R622 Quarters bunker. 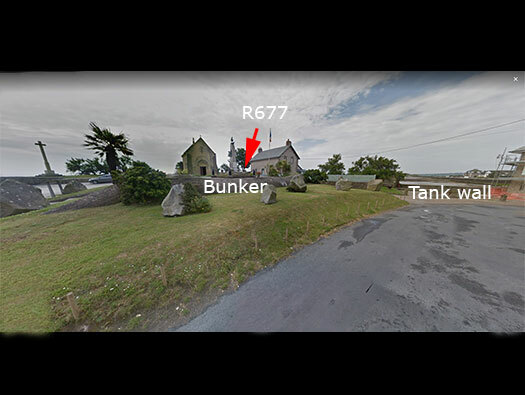 Main area with the R622 bunker, an R667 behind the Chapelle and the sea/tank wall. 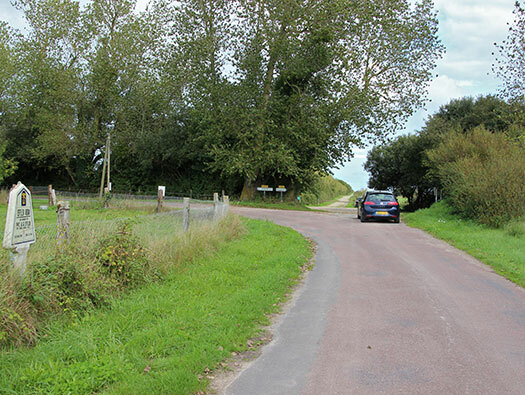 The causeway out to La Houge fort. Plan of an R622 with two Tobruk machine gun posts. 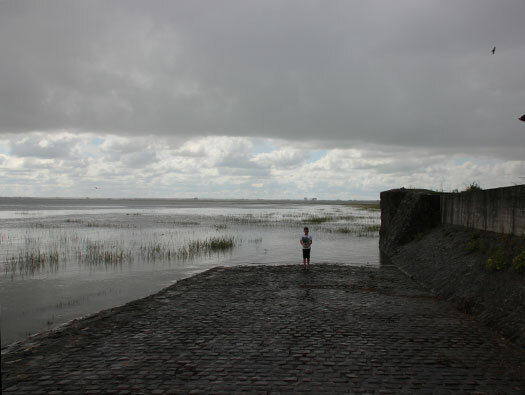 The causeway out to La Houge fort. Day3 Barfleur a lovely fishing village and if its lunch time there is a very nice patisserie in the main street that will do a sandwich, cake & a can meal deal. 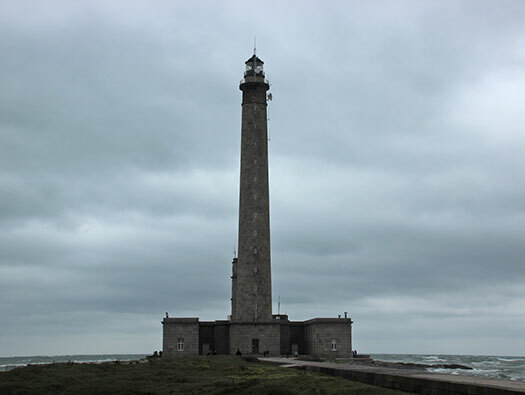 Next Gatteville lighthouse and batterie StP126. 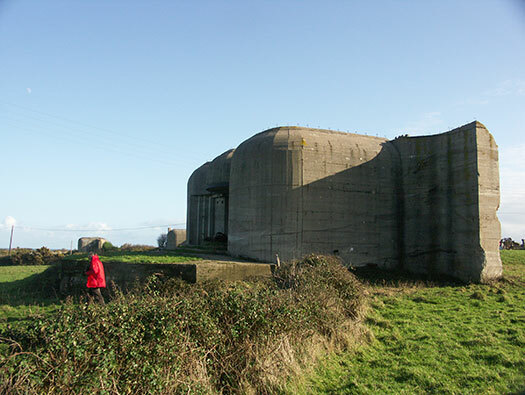 The Gatteville batterie has six open emplacements and four R679 casemates nearly all are holiday sort of summer houses and at least one is accessible. 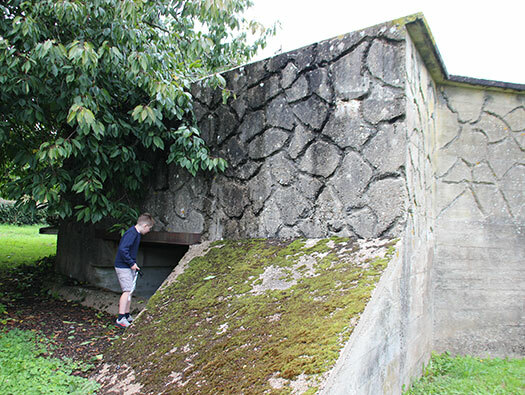 A Fire control bunker and many other features to find. 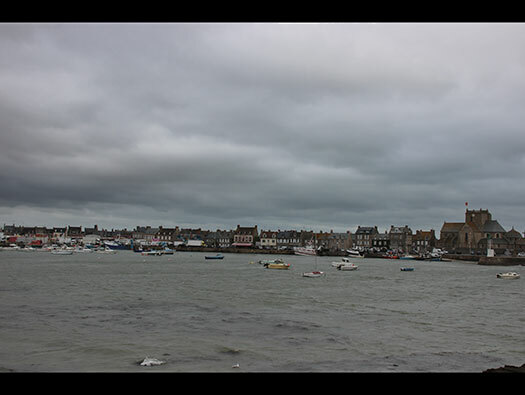 Barfleur. Gatteville. Gatteville Batterie StP126. Day3 If you are not bunkered out, you are about to be. The last major stop Batterie Blankensee MKB StP126 at Neville. 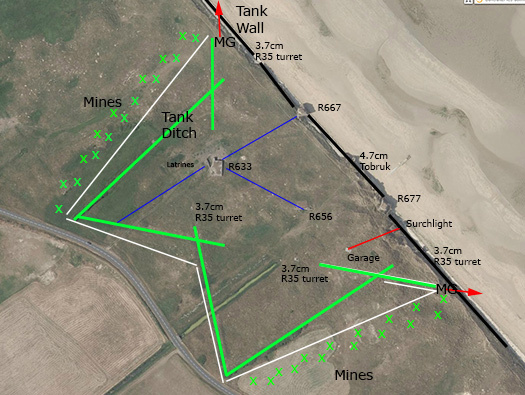 Here kids (with parental control) can have a free run of all the bunkers and surrounding area. Although I have been here many times, every time I come I find another little gem. Foot prints in the concrete, an imprint of a Gerry can, etc. Main Gate with defence bunker on right and left base for an opening barrier. Day3 And there are many places and things to see all along the coast to Cherbourg like this 5cm KwK Nr1694 ringstand, trench system and an R667 casemate all for two 5cm KwK L/60 guns. 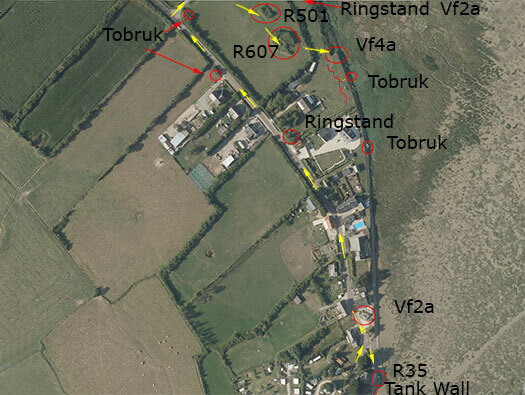 This is Pointe du Brick Wn203 but it does need updating as this bunker and a Vf crew bunker is also here. Another place if you have time is the Fort de Roule up on a high cliff to the south of the town, sat nav will take you there. Views over the town a museum and also if its open a tour of the underground batterie of StP255 Fort de Roule M.K.B. Back to the ferry in time to sail home. 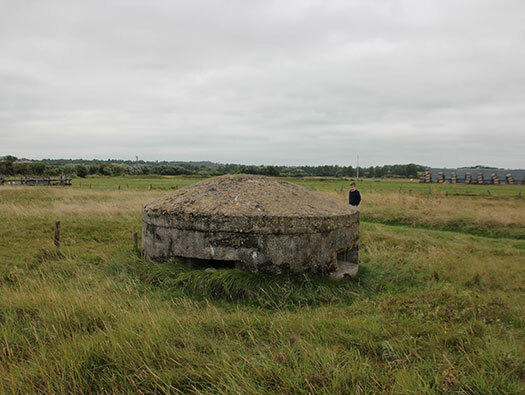 Pointe du Brick Wn203 R677 casemate for a 5cm gun. Tunnel now blocked up was used by a railway batterie as ammunition storage.